DJI, the world leader in aerial photography drones and cinematography platforms, has donated a special filmmaker's prize to Philip Bloom’s “Movember” campaign. Movember raises funds and awareness for mental health, prostate cancer, and testicular cancer by encouraging men around the world to grow a mustache and donate. By donating just $25 or more, participants are automatically entered to win prizes while contributing to a great cause. 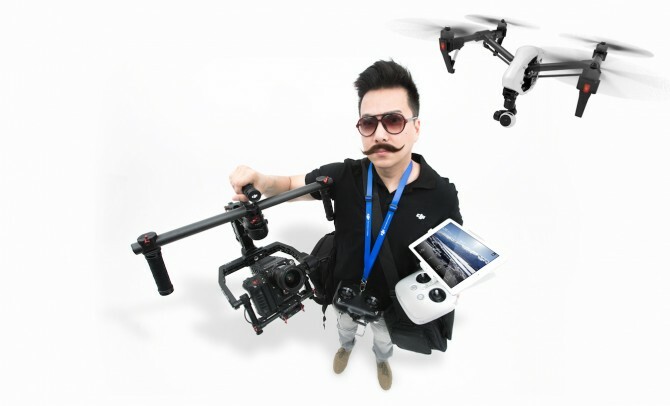 As a special “Grand Prize” for this year’s Movember, DJI has donated a new DJI Inspire 1 and Ronin package. Together, these tools offer you a complete suite of filmmaking equipment for capturing footage from both the ground and the sky. So help men everywhere, start growing your mustache, and grab your opportunity to win this unique prize now!